ATHENS, Jun. 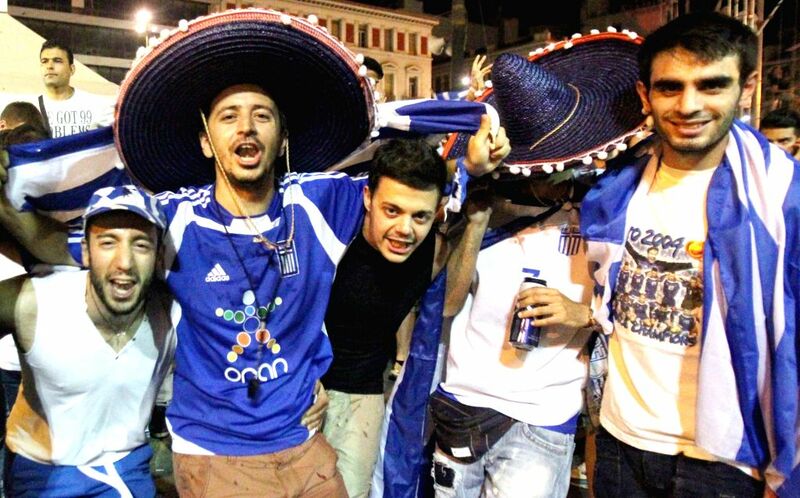 25, 2014 - Greek soccer supporters celebrate after the Group C third round match of 2014 FIFA World Cup Brazil between Greece and Cote d'Ivoire, in Athens, capital of Greece, June 25, 2014. Greece defeated Cote d'Ivoire 2-1 and advanced to the knockout stage.